I am a mother, grandmother, and wife. I have been working in the graphic arts field most of my adult life. I have chosen to continue my education and venture out into the field of photography. I photograph using both natural and studio lights. My style is relaxed, you are never rushed. I will try to capture the spirit of your child. 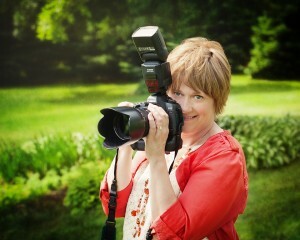 Sessions include photo-journalistic and gently posed photography. To capture your special moments so that they are preserved. Watching my children grow has shown me the importance of capturing life in pictures. Photographs allow us to revisit our memories time and again. My supportive husband. Thank you. My three children. My Parents. My dog Henry. Caribou Coffee’s White Hot Chocolate. Lindt Lindor’s Stracciatella and White Chocolate Truffles. Pop-Secrets Homestyle Popcorn. Pizza. No sausage please. DQ Cherry Chip Shakes. Photos of the Day. And, of course, I love to take pictures. Sweets. Fresh baked cookies. Junk Food. Puppies. The smile of a child. If you would like me to capture your own special memories, please contact me for a consultation. I look forward to working with you.